I’m beginning to wonder why Mondays get such a bad wrap. Could be because it marks the end of wild weekends, full of sitting around in sweats drinking milkshakes (or whatever it is that you do on the weekend) and the start of the dreaded work week. I just answered my own question. Never mind, Mondays stink. Except, that’s exactly what I’m trying to turn around in myself. I need to start thinking of Monday as a fresh start. The day to turn things around, possibly after a weekend of over indulging. The day that stands for ‘it’s never too late to start’. And that’s kind of what I wanted to talk to you about today. That and this freakin’ awesome Asparagus and Shallot Salad, but I’ll get back to that in a bit. I have some news/changes to share with you. Changes that I’m beyond excited, yet nervous about at the same time. Walk with me while I talk. A few years back (don’t sigh, I’ll speed us back to present day ASAP) after having the Baby, I found myself overweight (duh, I just had a baby…and a lot of eclairs) and fed up. Mainly with myself. I had become someone that I hadn’t wanted to become. Not the mom, thing, I love being a mom. Love it, love it, love it, love it. Seriously. What I didn’t like, was the fact that I had become a mom who had given up on herself. I had gotten stuck in this mentality that, well, I’ve been pregnant and given birth (by c-section, so some might consider that cheating. I have a scar that says otherwise) so my body will never be what it was before, so why even bother trying. Ugh. What a vicious cycle of negativity. True, will my body ever be free of stretch marks? I don’t know, but I’m guessing that it will never take priority in my budget to find out. And really? Who cares? They’re stretch marks. Big deal. What I did eventually snap myself out of was the absolute conviction that I couldn’t get myself into any sort of decent shape reminiscent of what I was pre-kiddos. Don’t get me wrong, I was no super model or body builder, but I was a trim, healthy weight and I felt good about myself. I wanted that back so badly. It turns out, that good feeling about myself was totally attainable. I signed myself up for Weight Watchers and with some seriously hard work and dedication lost the 30 pounds I needed to feel back to my old self. I kept up all of my hard work, although the effort became less and less as I went on and being mindful of eating healthy and working out became more in my second nature, for a long time. Unfortunately, about 9 months ago, things took a turn. And no, the 9 months has nothing to do with a baby. Unless you consider this very blog a baby. Which in some ways it is. It’s a labor of love and hard work and passion and frustration and satisfaction and everything that is worth working for. Except, for the fact, that in my drive to improve my cooking and photography and writing (don’t scoff, my writing has actually improved) I lost a bit of myself along the way. The part of me that took good care of myself. That ate mindfully, and pushed my body to keep it healthy and kicking for years and years to come. I lost that girl. And that did not feel great. So what, do you ask, does this have to do with you and me and Mondays and salads and this very long story? Well, it means that I’m searching for that girl again, and with your help and the outlet of this labor-of-love blog, I’m determined to find her. In the months since starting my blog, I’ve gained back 10 of the pounds that I worked so hard to lose. I’m not writing that to over share, but rather to force myself to admit, and put down in writing, what has happened and where I’m starting from now. I could beat myself up about it (which I have a bit) and spend time wallowing and stress-eating marshmallows (which I have a bit) but instead, I need to look at this new start as just that. A place to start. Not a place I’ve fallen to. So what does this mean for Jelly Toast? All I can tell you is this: I’m certainly not going anywhere. In fact, I may be around even more than before. But there will be a shift. Lighter, healthier recipes will be shared. But they’ll be just as delicious. Pinkie swear. In my zeal to become a ‘food blogger’ I seem to have lost the real me. I thought everything had to be over-the-top indulgent in order to keep readers interested. The more fat, the more chocolate, the more caramel the better. I convinced myself that no one would want to read about a salad, or a piece of grilled chicken. Even though I, myself, totally loved reading about those things. I know, my reasoning just didn’t make sense. I realize that now. Because I lack any true expertise in the way of health and nutrition, I was terrified about toting Jelly Toast as a ‘healthy’ blog for fear readers would question why on Earth I think I have the right to talk about and share healthy food? I’m not a dietitian, I’m not a vegetarian, I’m not gluten free, I’m not purely organic, the list goes on. I didn’t know if the real me would fit into the world of food blogs. Well, I’m over that now. I am what I am, and what I am is a girl who tries to eat healthy. A girl who tries to feed her family in a responsible and thoughtful way. I’m a girl who shops at Kroger and Costco, is hit or miss with buying organic food, eats frozen burritos for lunch (they’re 6 WW points and fabulous) and more often than not, forgets to bring her re-usable shopping bags into the store with her. Will every single recipe that I post be a good and perfectly healthy choice? No, because that’s not me either. I splurge from time to time. I’m a fan of a full-fat brownie and don’t really dig diet desserts. But in all honesty, there will be probably fewer sweets posted, because frankly, we aren’t normally in the habit of eating 3 different kinds of cookies in one week (the last 9 months not withstanding). And the thing about blogging is that my family eats all of the food I make. Seriously, all of it. I owe it to me, my family and to you, my awesome, incredible blog-y friends, to simply be me. Not what I think I should be because I’m a food blogger. In summation (I wanted to sound like a college professor for a minute) there will be a shift to the healthy side of things. Which, frankly, is perfect for Spring. Rebirth and all that. Not to mention swim-suit season beating down our door. Speaking of swim suit season, I bought the cutest two piece swim suit (retro, high-waisted, polka-dotted adorableness) last year and only got to wear it once. I’m not going into summer +10lbs of where I was last year. No sirree. Yes, I’ll even be posting the 12 point brownies. Just because they’re 12 points, doesn’t mean that I’m not going to eat one on occasion, I just need to keep track of it. I hope you will enjoy this new path that I’m traveling, and be interested in traveling it with me. It’s always nice to have a travel buddy. Oh! I almost forgot to mention: I got a new camera! EEK! It’s a Canon 6D (yes, I entered into the full frame world) and it’s a beauty. The learning curve is steep, as is the curve for learning Lightroom 4 which I’m tackling as well. I’ll save in depth camera talk for a future post, but you can bet it’s coming. These photos of the Asparagus and Shallot Salad are the first photos to grace Jelly Toast that were taken on my new camera. I hope you enjoy them. Most photos from here on out will be from my 6D (unless otherwise noted). Oh, and some parting words about this salad: It’s ah-mazing. 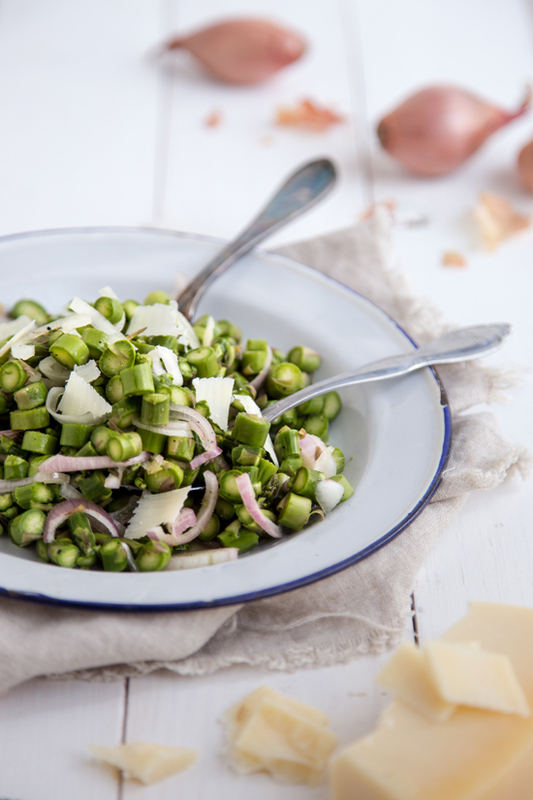 Fresh asparagus tossed with mild shallots and nutty Parmesan cheese all tossed in a vinegary dressing. So easy, so unexpected, and so satisfying. 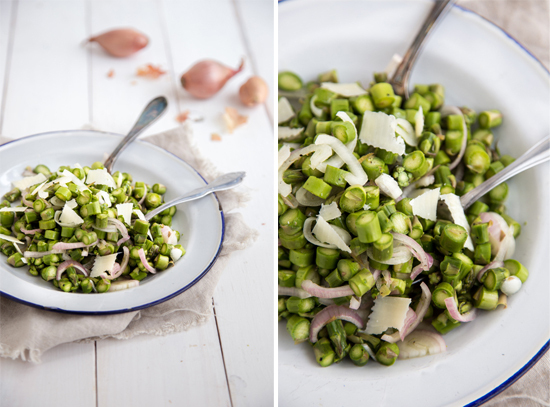 It’s one of my favorite Spring time salads. Seriously. I wish you the happiest of Mondays, my friends! This is not a sponsored Weight Watchers post and I am in no way receiving compensation for this post. These are simply my opinions and experiences with the Weight Watchers program. 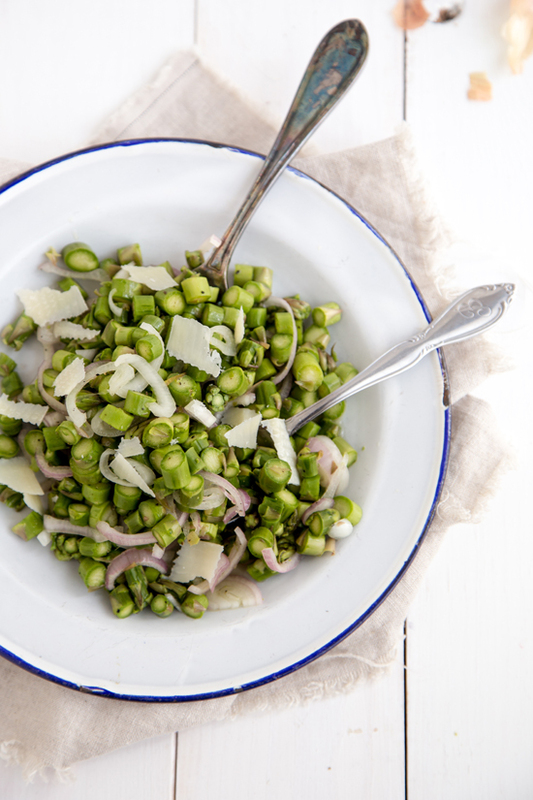 In a large non-reactive bowl, toss together asparagus, shallots and cheese. Add olive oil, vinegar, salt and pepper and toss to coat. Refrigerate for at least 1 hour to allow the vinegar to tenderize the asparagus and give the flavors a chance to meld together. Yesterday, I couldn’t wait to hear what the big news was. My wheels were turning with anticipation. I thought for sure a Jelly Toast cookbook was in the works 😉 And I have no doubt we’ll see that in the future but this announcement is just as wonderful! I am SO proud of you and so inspired by you!! I have been talking about/struggling with the same issue since starting my site. I make what I love but since starting the site it’s 1000 times more often than ever before. Despite giving it to my family, my husband’s work, etc… I still eat some of all of it, resulting in me falling far off course with my goals for myself. I eat healthy most of the time but when I bake, it’s hard to resist all of it. I love that you’re taking the reigns and making a change that even encompasses your site. You know I love reading your site and I am thrilled to hear about the healthier, lighter recipes coming our way! I can’t tell you how much I appreciate your incredibly kind and thoughtful comment, Kate. I’m glad I’m not the only one who has gone through this (I suspected that it couldn’t be just me, but you never know for sure). While I’m not into ‘fakey’ type diet food in any way, there is something to say about cutting back and making more healthful choices. Limiting the over the top (albeit, delicious) treats. And that’s what I’m hoping to be able to do. I used to be so good about eating fruit and vegetables, and being conscious of portion sizes, but lately it’s just been this slippery slope of eating 4 brownies before I realize what I’ve just done. Ugh, not good. I hope you like the new stuff I’ll be putting up, and any feed back or tips would be so incredibly welcomed! Love your honesty and your new approach. Thank you for reminding us that it’s not too late to start. That’s what spring is for! I can’t wait to see where you take us. And I’m looking forward to making some of your fresh lighter spring recipes! 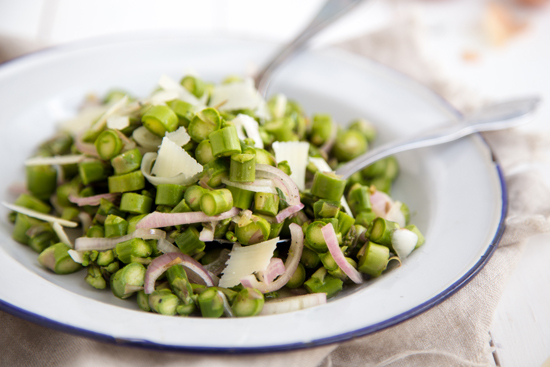 I have made a similar salad with grilled asparagus but can’t wait to try your version. And with white balsamic!? YUM! Thank you so much for your kind words! 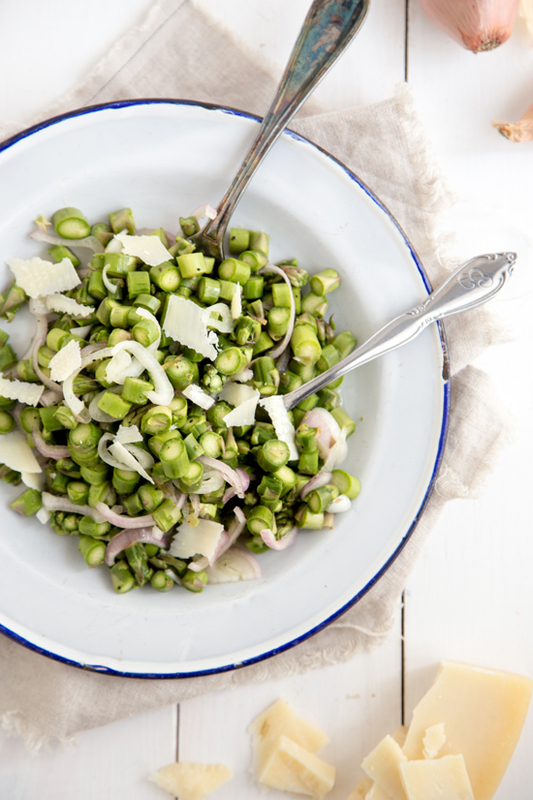 I love grilled asparagus, and should totally try this style of salad with that. Thanks so much for the idea! I love this post. And I know exactly how you feel. When I first started blogging, I did a lot of desserts. I thought that was what people wanted. And I didn’t even label my blog as vegetarian, because I figured it would drive people away. But then I realized that my healthier recipes were more popular than desserts. And when I finally labeled myself as vegetarian, my traffic grew. Now, when I post a decadent dessert recipe (once in a great while! ), it is inevitably a huge failure. So I kind of have the opposite problem now, I guess. 🙂 But what I guess I’m trying to say is that people will respond to you being authentic. There’s just as much of an audience for healthy eating as there is for OTT desserts. And you are a talented blogger who takes gorgeous pictures, so you should not be stressing AT ALL about this. Good luck! That gives me so much hope, Kiersten! 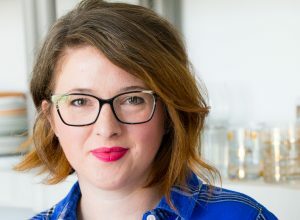 I am a HUGE fan of your blog and I think you just handle all of your recipes and style so brilliantly. Your recipes read as genuine and that’s what I hope to achieve here as well. It is a bit of a bummer that the occasional dessert isn’t received as well, but, I guess there could be worse things. I need to go back and comment on your mango fruit leather recipe, because my kids and I made it a few weeks ago and it was an enormous hit! Thanks so much for your inspiration and kindness! Thank you so much for this post. It is true about spring being the perfect setting for new beginnings. I am delighted to have found your blog & more delighted to have read your challenge (which is mine as well). I look forward to joining you in this life long delicious journey of eating healthy & treasuring the gift of life. Your honesty means a lot. Of course I love seeing the wonderful dessert post & will probably miss them…of course fruit is incredibly beautiful and zero points!! Good for you for working hard on being healthy. I can identify with this post because I, too, have “gained a few” in the last year. I can’t pinpoint exactly why…the blog, my daughter going to college, being left with a hungry teen son, a husband who makes cookies on a whim, feeling ’40-ish, hosting Xmas. I could come up with tons of reasons. I seem to eat when I’m sad. But, then, I also love to eat when I’m happy. It’s only 10 pounds that I need to lose but it does seem impossible right now. And….we have weddings, 4th of July, vacations, summer…summer…summer coming up. I’ll rub up against your recipes and hopefully some of them will encourage my plates to get a bit healthier in the near future! I know exactly what you mean, Sarah. Food is my comfort when I’m happy, sad, excited, bored, you name it. I’m so looking forward to changing the things I eat during all of those times to more healthy options (instead of a giant bag of marshmallows). Thank you so much, Sarah, for taking the time to share your kind words, and I want you to know that I absolutely love Thyme! Your photos are beyond stunning and the way you fashion your posts, it’s like a little escape into this beautiful world you create. I love it so much! I’m right there with you…well said, well done, and, well, great! This salad looks fantastic. Love, love, love this post! I have nearly the same exact food philosophy as you. Everything in moderation but I make every attempt to prepare healthy meals for my family. And a brownie now and again never hurt anyone. My blog for sure has made me gain weight too. 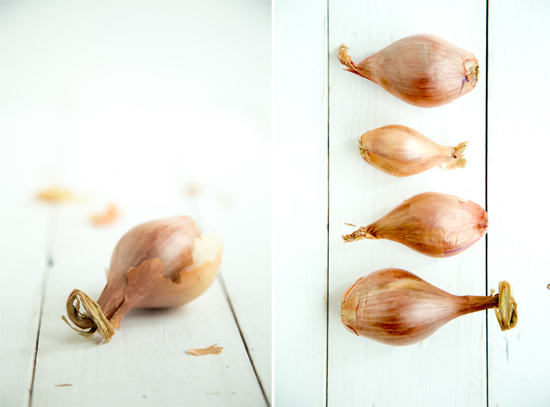 Instead of working out, I’m always spending the kid’s naps typing or photographing a recipe. This post is such a great reminder to make myself a priority. I’m not the same girl when I’m slightly pudgier. I know I shouldn’t let it affect me, but my confidence is lower and I’m generally less fun to be around. Thanks for the great post and best of luck! Can’t wait to follow along for the healthier recipes (would have been following anyways). Pinning this one! Thanks so much, Rachel!! I find the working out thing as one of the most difficult aspects of this. Nap time for me, too, was work out time, but now it’s ‘quick let me snap these pics or edit this stuff’. It gets crazy. I started getting up before my kids in the morning (which is SO against my grain as I am not a morning person in anyway) at 5:45 and working out and so far, it seems to be working. I hope I can keep up with it. There is something about knowing you worked out in the day, that then in turn helps me to want to eat better, too. And when I’m out of the working out habit, my eating slips. It’s a vicious cycle. Thank you again for your words of support and encouragement! I can’t tell you enough how much it means to me 🙂 I love me some Rachel Cooks! You rock! Hello! I just discovered your blog last week and am completely smitten. This post is so real and really hits close to home. Since I started my food blog 2 and a half years ago, I’ve definitely gained weight. Recipe testing and WAY too much baking has caused the number on the scale to go up and up. I eat healthy, but maybe eat too much. And I do indulge in desserts a little too much. I’m pro at rationalizing “one more piece” or “one more bite”. It’s funny how weight gain can make us pick on ourselves and be so critical. I’m glad your focus is to be healthy and happy in your skin. I love your photos and your writing and look forward to reading as you start this new journey.